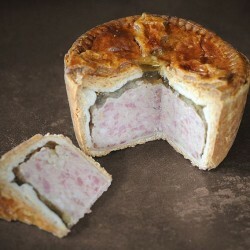 Topping's Pies started out over 50 years ago as a small family butchers and has since grown into a multi-award winning speciality pie business. But they still retain their traditional family roots - the business has been run by 3 generations of Toppings family. 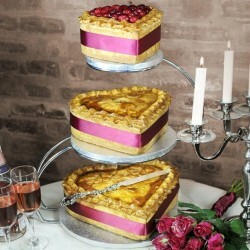 All their beautiful pies and quiches are made to original homemade family recipes, some of which take inspiration from Victorian and Tudor times. 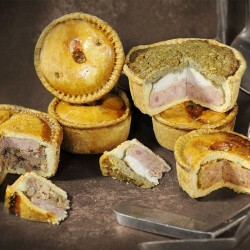 With a strong focus on taste and freshness, only the very best locally sourced British Red Tractor pork meat and ingredients are used. They have won more than 40 awards, including the coveted and prestigious 3 star Gold Great Taste Awards given by the UK’s Guild of Fine Food.